I don't know about you, but when I first got started on Twitter, I was really overwhelmed. 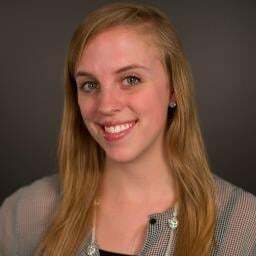 I had to pick my handle, find a flattering picture of me that wouldn't just be awkwardly cropped from a group shot, think of a creative bio, start to tweet, etc., etc., etc. There was a lot to do! To get the process over with, I picked the first handle I thought of: @chapstickluva. (You know, so people would know I didn't take myself so seriously.) I threw up a random bio, sent a semi-sarcastic tweet, and went on my merry way. But it wasn't really that merry for everyone else. They couldn't easily find my profile if they were looking for it, and once they got there, they had no reason to actually follow me. So much for building a personal brand. "Luckily," I was fresh into college and creating a personal Twitter account -- the only person losing out from a bad Twitter presence was me. It could have been a brand I built a page for! With real, bottom-line metrics! Yikes. So if you're running a brand's Twitter account and want to make sure you're not making any profile faux pas, keep on reading. We'll show you the most important things to optimize in your profile and give you tips on making that happen. Let's get to it! When you sign up for Twitter, this is the first thing you'll have to snag (though keep reading if you've already snagged one). Think for a second before picking a handle at random -- this isn't like picking an AIM screenname. You want your handle to be easy to recognize and remember, so that anytime someone wants to interact with you, they can. For example, if you're building a Twitter profile for your brand, you'd snag the name of your company. If you're doing this for yourself, you'd try to get some version of your name (full name, first initial and full last name, or just last name, for example). This way, your Twitter handle will show up in search when people look for your name and it will be easier for people to remember your handle when tweeting on the fly. In short, think about what handle other people would think to tweet at you using, and use that one. Next, choose a profile picture that best represents who you're building the profile for. If you're building this profile for a person, the picture should be a flattering, yet recognizable photograph of them that's close to their face. If you're doing this for your brand, a logo is fine -- though make sure that the logo large enough to be recognized when its in the thumbnail. The main takeaway here is that your profile picture should be recognizable to your current and potential followers. If you're trying to go the extra mile, make sure you're using vibrant colors -- you'll stand out in other people's Twitter feed more easily. It’s similar to your Facebook Cover Photo. Use this space to show off you brand further or feature a campaign you’re running. To change your header image, head to your profile page and hit "Edit Profile." Images will appear best when sized to 1252 pixels by 626 pixels. And, because it lies behind white text, make sure your Twitter Header image is dark enough or contrasting enough to make the white text readable. You can also customize your background image. This one is admittedly a bit harder to get sized correctly than the Header image, all because people have different browser window sizes, but it's still important to have it coordinated with the rest of your profile. The important thing here it pick a background that's not the default one -- though you can still pick one that's pre-made by Twitter and looks sleek. You can also find a picture that coordinates with your other profile pictures or design one of your own using this template. Regardless of what route you end up taking, make sure that it looks professional and coordinates with the rest of your brand’s colors. After you’ve picked your imagery for your profile, you can take customization one step further and choose the color of your links. Remember, because your tweets will be using a white background, you’ll need to make sure the link color has enough contrast to stand out. To customize your link color, go to “Settings” and then “Design.” You will be able to customize your link color there, among other things. Don’t be that person. Find the balance between placing keywords that’ll get you found by people through search and sounding like a real person. This is your chance to show your personality and what value you are going to provide to your followers. Be funny -- that is, if you or your brand is actually funny. Describe what you do in non-jargony language and include handles that are relevant to your bio. For example, if you’re building a personal profile, add a handle to where you work. Use your bio to give people a reason to follow you -- whether through your wit, your connections, or just a sneak peek on what you’re going to tweet. Everything in your marketing is trackable … so why would your Twitter profile be any different? When you include a link to your website in your Twitter profile, add a UTM parameter so you can see what traffic is coming to your website through that link. Watch to see if click on that link increase as you increase your followers, and maybe even change up your Twitter strategy to get more clicks on that link. Regardless of what you decide to do with that data, make sure you can set yourself up for success later by making this link trackable. This tip is pretty straightforward -- just include your location on your profile. It may not seem like much, but it will give you another opportunity to connect with someone. For example, I include that I’m from Boston on my account, and when I have other people follow me from Boston, I usually follow them back -- I might run into them on the street one day! People love to connect with other local people or people who live in towns they recognize. Now that you’ve got your profile fields all set, it’s time to tweet. Make sure you’re switching up the format of what you’re tweeting -- text, links, photos, videos, Vines, etc. Not only will your followers be excited to get tweets from you that aren’t just link after link after link, but you’ll also fill up that nice gallery in your profile sidebar with multimedia. That way, your profile will look robust and complete when people start to visit your page. 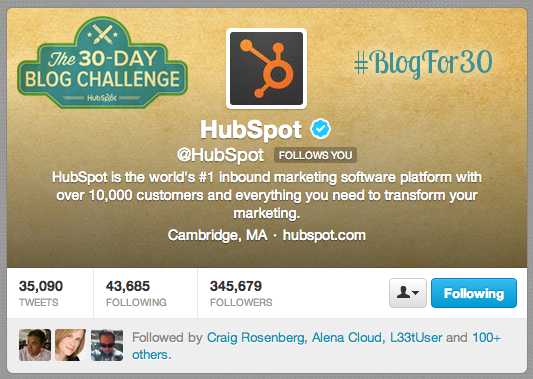 Last, but certainly not least, you’ve got monitor your follower to following ratio. I know what you’re thinking: Does it really matter? But, it’s actually a really prominent feature on every Twitter profile page. When people go look at your page, the first thing they’re going to see if how many people follow you and how many people you follow. You don’t have to have a bagillion people following you, but if you have way more people following you that you’re following, you will come off as standoffish. If you’re in the opposite camp, people may wonder if you’re a spammer. It’s best to have somewhat similar follower and following counts. All in all, these are just a few things you can do to optimize your Twitter profile and get more followers. Though these may be little, nit-picky tweaks, they can have a big difference on how people perceive your profile. So go on, get optimizing to grow your following! 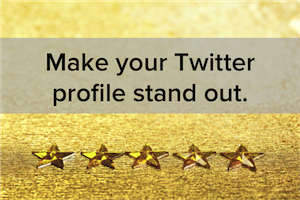 What other tips do you have for making a noteworthy Twitter profile? Share your thoughts with us in the comments.